This Deluxe rainwater harvesting system will harvest rainwater off a 200sqm roof and recover 200000 liters of water per annum that can be converted into potable water, effectively substituting municipal water with purified rainwater. 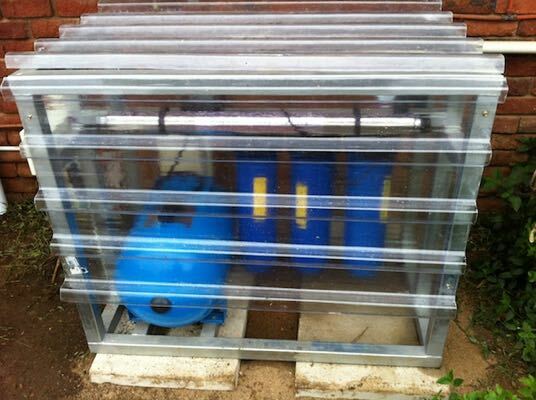 a. Tanks will have overflows installed and are insect and rodent proof. b. Tank level gauge so you can always see the water level in the tank. c. Low disturbance inflow into the tank. The bio-layer that forms inside the tank should not be disturbed by incoming water and we have designed a system that will not disturb the bio-layer resulting in cleaner naturally purified water. 2. Modifications and changes to the gutters to accommodate filter collectors. We will connect your gutters with 80mm piping. 4. A 220V silent high pressure booster pump with a pressure cut off and float switches – all which will be correctly sized for your household requirements. 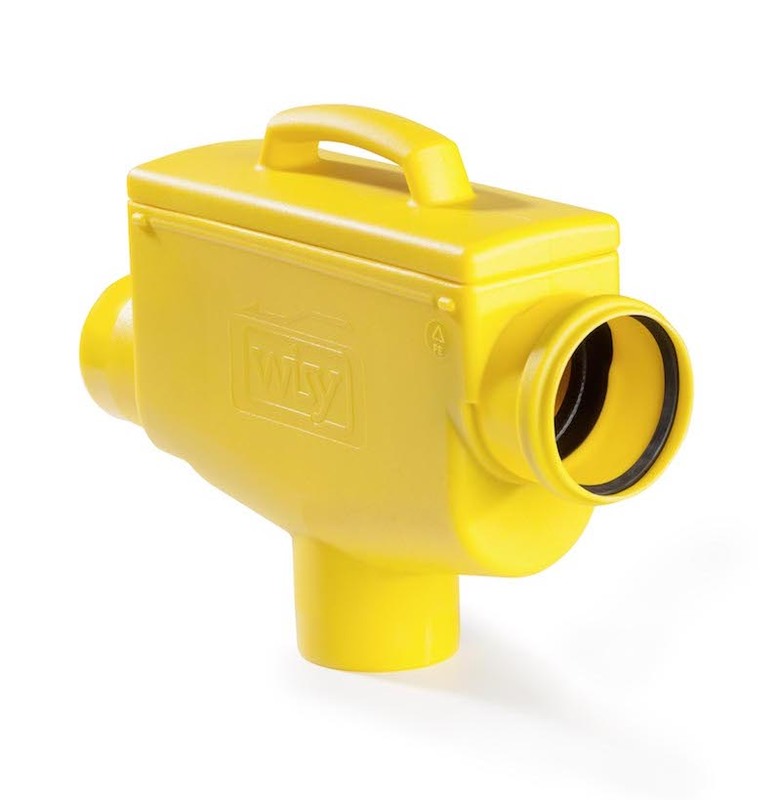 The system will deliver an average water pressure of 3.5 bar to your houses' water supply. a. Note - customer must supply 220V external plug connection at installation point. 1 correctly sized UV light sterilizer that will kill all bacteria in the water. Frame will be covered with clear polycarbonate sheeting to protect it from the elements. 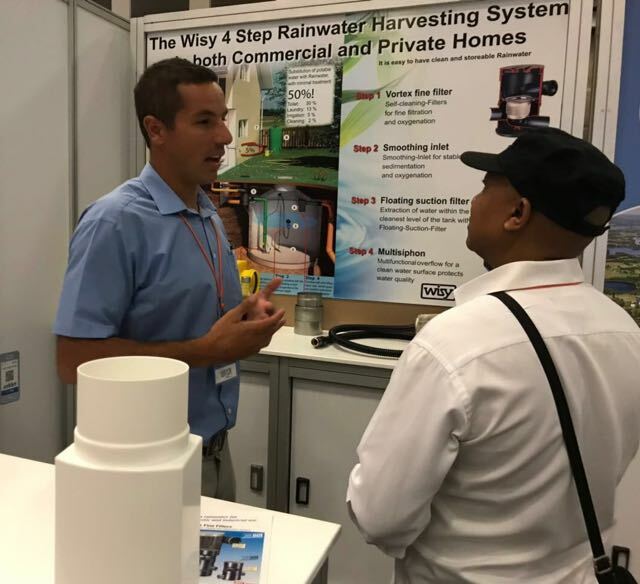 It prevents rainwater from flowing back into the municipal supply and at all times maintains a physical air gap between the two types of water. 7. 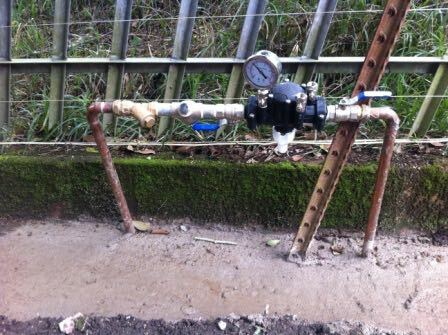 The system will be connected and commissioned where after pressure and water quality will be checked. 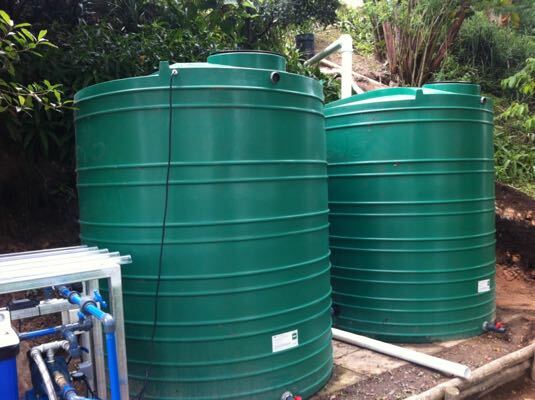 Included in the cost will be one detailed water sample analysis by an accredited laboratory in Cape Town. 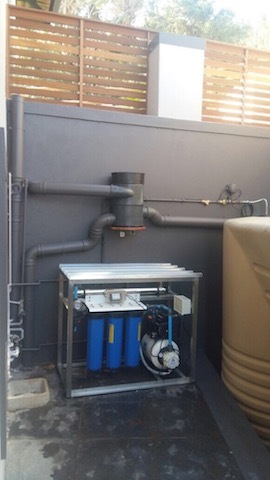 This will ensure that you have peace of mind that your system is working and the quality of water meets drinking water requirements. 8. We will inspect and monitor the performance of your system every six months in the first year of installation.